"What do you Charge For Print Design?" "How Are You Able To Offer Such Low Prices on Printing?" 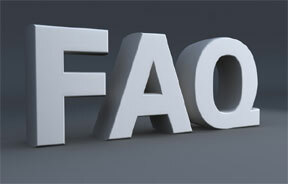 "Contact Us For Questions Not Answered"
(A1) How much do you charge for logo design? (A2) How much do you charge for a website? (A3) How much is Web Hosting and what makes you different? (A4) Do you offer indoor and outdoor signage and displays? (A5) I'm interested in hiring you where do I begin? (A6) What forms of online marketing do you offer? (A7) Can you provide SEO (Search Engine Optimization)? (A8) What do you charge for print design? (A9) How are you able to offer such low pricing on Printing? (A10) What type of display products do you offer? (A11) Is artwork for CD's, DVD's and Flash Drives included? (A12) Why Should I consider Flash Drives for my marketing efforts? (A13) I don't have a large budget does that matter? (A14) I'm looking for a complete END TO END marketing plan can you help? (A15) What is the web site design process? (A16) What is the process for designing a logo or other print material? (A17) What else can your company do for me? (A18) Do you design and print billboards? (A19) How do you handle logistics and do business? Would you go to a Realtor and say how much for a house? (A1) As with most of our services we try to work within the clients budget however each client has different needs and requirements, asking us how much for a logo is like asking a realtor how much for a house. The realtor will need to know what style of home your looking for, how many square feet you require and so on. We will need to know what the intended use for the logo will be, what media it will be displayed on etc..there are several factors that contribute to cost. How much do your charge for a website? (A2) With websites charges will vary there are several factors that are considered such as how many pages, will the site be static or dynamic, will it require a custom interface, can a template be used, will there be flash elements and any e-commerce required. 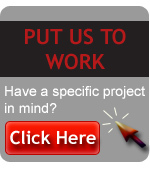 We really need to speak with you to get an idea of what you need and what your budget is. How much do your charge for Web Hosting and why? (A3) Our most basic web hosting plan is $14.95 per month, again each site is different and because we form lasting relationships with each of our clients we get to know you. When you contact us you speak with someone intimately familar with your business and your not dealing with a call center but with those actually running the hosting servers. Do you offer indoor and outdoor signage and displays? (A4) We offer a variety of outdoor and indoor signage options everything from outdoor signage that has commercial applications to a variety of indoor displays even things like magnetics and yard signs. I'm interested in hiring you where do I begin? (A5) We want to hear from you..that is the simplest way to start the process to hire us for some project that you need accomplished. The best way is by email or by phone. We are open M-F 9-5 eastern standard time. Our email is always available and checked mulitple times each day even on weekends. What forms of online marketing do you offer? (A6) We have experience across all avenues of online marketing, from banner ads to pay per click, social media, search engine optimization, blogs and email marketing. Can you provide SEO (Search Engine Opimization)? (A7) Yes we can give you a free evaluation of your online presence and then offer our expert search engine marketing solution. What do you charge for print design? (A8) Print design is charge by the job for example we charge differently for a business card than we would for a sales sheet or a catalog. It depends on labor however if possible and the job is large enough the printing can help offset the cost of labor for the design. How are you able to offer such low prices on quality printing? (A9) We have TRADE ONLY accounts with several of the best and larges printers in the U.S. that is why we can offer super low pricing on our printing. What types of display products do you offer? (A10) We work with a OEM manufacture of top of the line indoor display items. We have literaly hundreds of options. These can be used in retail, trade show exhibts and more. We have a catalog we can send you upon request. Is artwork for CD's, DVD's and Flash Drives included? (A11) Artwork that is required for CD's, DVD's and Flash drives is usually included in the price for design and manufacturing..i.e. replication etc. Why should I consider Flash Drives for my marketing? (A12) Flash drives are still much more expensive than CD's or DVD's however they are a very useful tool therefore your message or presentation will live alot longer and stay in front of your audience considerably more. I don't have a large budget does that matter? (A13) We work with ALL buget types we will be happy to discuss your needs and make suggestions that will work with your budget. I need a complete end to end solution can you help? (A14) We have the experience and skill to offer an END TO END solution for you from designing your company logo to your website and your collateral materials and then integrating an online marketing presence with the search engines and other forms of online media. Even help you in tracking and lead conversion results. (A15) The Web Site design process begins with an evaluation of what you want to accomplish and what type of site you need. Then we can put together a scope of work and a proposal. Once this is done we start putting together a design and collecting content. Content is the most important part of the process, without it the site will be blank. We work with you from start to finish. What is the design process for a logo or print materials? (A16) Logo design starts with understanding your company, your product or service and what you what to convey to your audience. We then come up with no more than (3) design concepts and present them to you. A similar process is done with print materials. What else can your company do for me? (A17) Our company is very diversified and can help you accomplish almost anything that you need by way of marketing and communications. The best thing to do is just ask! Do you design and print billboards? (A18) Yes we can design an eye catching and effective billboard and have it printed and shipped directly to you. We have several large format services we can offer you no matter what your trying to accomplish. How do you handle clients logistically and do business? (A19) For Clients located in southwest florida we prefer one on one meetings to discuss your project needs. Regarding clients located throughout the United States we handle everything via the phone, email, fax and the web. All of our print and other tangible products can be shipped directly to our clients.